Just one queen wasp can easily lay over 100 eggs at a time. One wasp can set up your home for an infestation in just a couple of days. When this happens, you might not be able to sleep until you figure out a wasp removal solution. While several types of pest control can be handled without the need for professional help, wasps are a different story. Watch this video of a DIY wasp removal attempt resulting in 4 nasty stings! Once they’ve found their ideal nesting place, wasps get very defensive. They will even have their own hive lay eggs in a nearby hive to take it over. Solving common household issues on your own is important, cost-effective, and empowering. However, you should know your limits. Here are four reasons why wasp removal needs to be left to professionals. Wasps aren’t as friendly or as cute as a bumblebee. They don’t behave with evasive measures. They tend to attack and to swarm. The slightest bump to their hive could trigger one wasp to rile up the rest of the hive. Once they’re alerted, you could have a swarm on your hands. Their stings are painful and could quickly put you in the hospital if you’re attacked. Wasps might build the exterior of their nest in a conspicuous area. However, if you have cracks in your foundation, between your walls, or behind your wooden house frame, their nest could be bigger than you think. Without the proper tools and equipment, you could remove one small part of an infestation, granting easier access to the larger group. Buying a wasp spray can treat the start of an infestation on day one. If your home or your office has been infested for more than a couple of days, you’ll need professional services. They can determine whether or not a hive has been eliminated. In case you prefer a more robust solution, some specialists will even remove the queen and put her in another location. When the queen moves, the hive will follow. There are many dangerous chemicals in the world of pest removal. You might not even have access to them. If you prefer a more natural choice, many removal services can help you select an eco-friendly alternative. They have access to all of the tools and supplies that might be too expensive for you to get. You, your loved ones, and your kids could be in danger if there’s a wasp nest in or near your home. Wasps are aggressive, relentless, and wily. Without the proper training, you won’t be able to get rid of a hive once they’ve set up shop. If you want to know more about insect control, check out our guide to basic rules for keeping pests out. 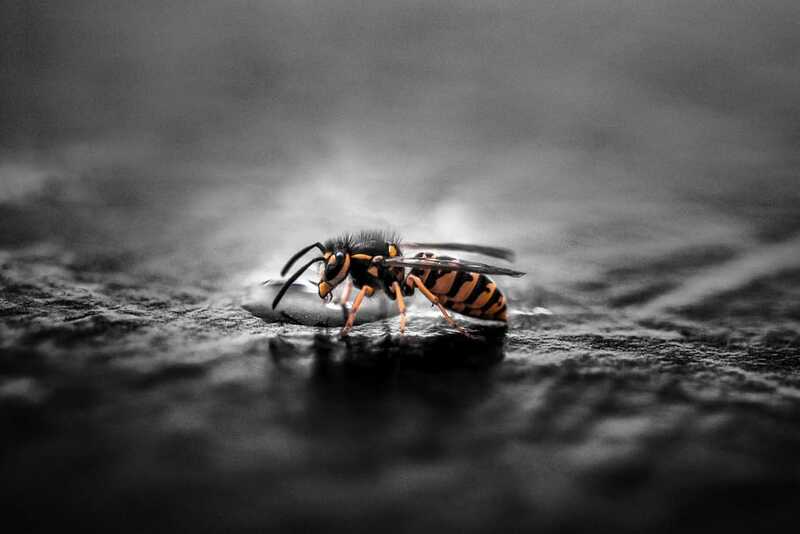 Call us for pest control of bees, wasps, and wasp nest removal in downtown Vancouver, Burnaby, Surrey, Coquitlam, Langley, Richmond, Delta, White Rock, Pitt Meadows, or all metro Vancouver.